We have hundreds of different promotional items for every occasion here at Calendar Lady Promotions and our Company Memo Tape is perfect for the handy man. 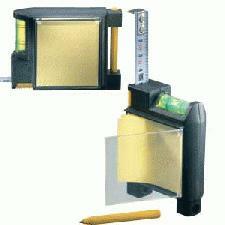 Our Company Memo Tape is a 3 metre tape measure with a pen, memo pad, spirit level and belt clip, for easy access. Just tell us how many you need and we'll ensure that they all reach you ready branded up with your personal details and business logo to help you stay advertised. Just give them away and let your advert travel. To find out more about our Company Memo Tape click here and fill in the contact form and we'll get straight back to you. Other promotional and personalised items besides our Company Memo Tape click here.